The KIT L80 : best trailer worldwide ! 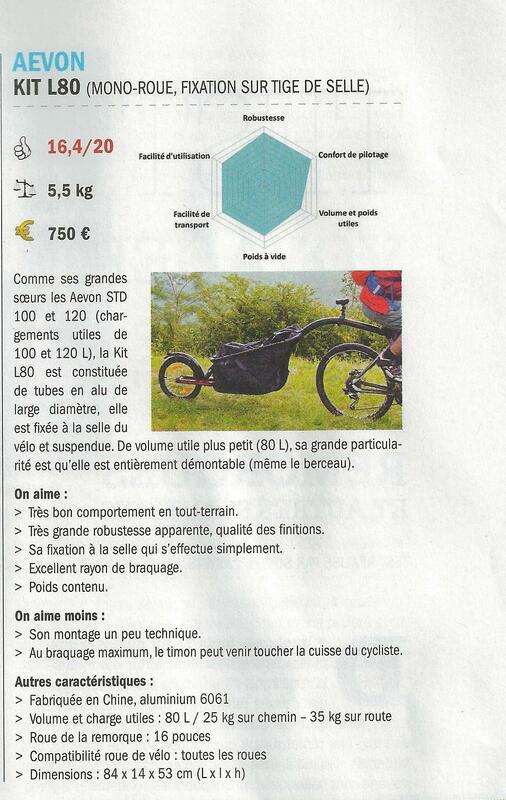 For their special edition, the magazine Carnets d’Aventure, specialized in non-motorized trips, has tested 10x bike trailers from different brands. The KIT L80 gets the best rating thanks to its excellent behaviour in cross country use, its strength, its weight and the hitch on the seat post. The only failing could be that it’s not the easiest to set up. 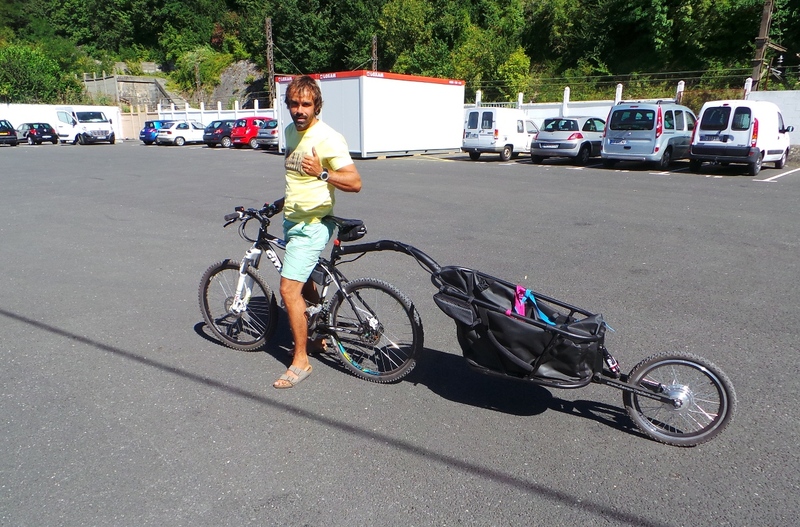 The KIT L80 is the only bike trailer, worldwide, which is made in aluminium and can be folded. You can easily bring it with you in your trips around the world. Now it also exists as an electric trailer 250w ! We are pleased to announce that the Swiss Sebastian Doerk , photographer, film producer and bike enthusiast went on a trip to Iceland with an Aevon Kit L80! Sebastian works mainly in the bike industry. He shoots mountain bike films that transport a story instead of only covering massive tricks. For his new trip in Iceland he left with a couple of friends and their bikes as their only means of transport. They only online casino canada lacked the right trailer suitable for small paths. It is with great pleasure that we lent them a Kit L80 for this new adventure. 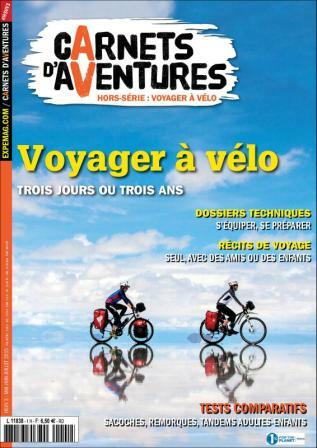 Voyage Elements Terre, is the amazing adventure shared by Fannie & Flavien, a couple of bushwackers. 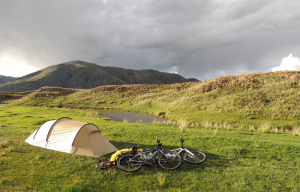 During 3 months, they travelled through Perù with their bikes and an Aevon trailer, in extreme conditions. They discovered the Andes Cordillera, and amazing spots, such as the Lake Titicaca, at the frontier between Bolivia and Perù, and the Machu Picchu. the KIT L80 trailer to have a strong and stable trailer, travelling in complete autonomy through the country and enjoying nights in the open. The KIT L80 trailer is the lightest Aevon trailer and is completely foldable, easy to travel with ! Filled with this experience, they would like to share it and develop their professionnal project around the adventure in the wild. With Aevon trailers maybe ! Our team had the pleasure to meet them as they tried our electric trailer. They will surely use it on their next trip ! We are happy to announce a new partnership between Virgile Charlot and Aevon! In fact, it is already the second partnership between Aevon and Virgile. In 2010, Aevon lent Virgile a single-wheel trailer STD 120 to cross Africa by bike. During his first trip, the STD 120 proved to be extremely robust. For this new journey, that will last 18 months, Virgile will be equipped with a Kit L80, a lighter and completely foldable. Marion, Virgile’s girlfriend, will use bags on the luggage rack. 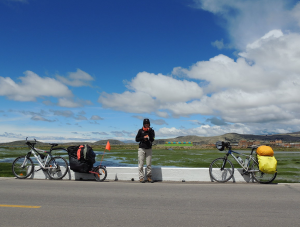 “The project Pignons Voyageurs Aux Amériques is a bike trip of 28.000 particularly hard kilometers, as a couple, on the American continent that will last 18 months. 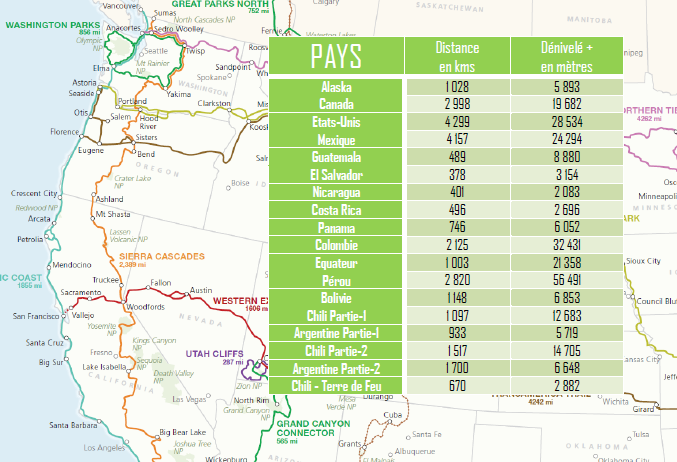 Crossing America from North to South, we will use forgotten routes, mystic and legendary trails. Our goal is to use as many small trails as possible and to avoid big roads, always with the idea to meet the people that use those trails every day for work orout of love for their land and traditions: watchmen, fishermen, truck drivers on frozen rivers, farmers, artists, restaurant owners, craftsmen, musicians etc.